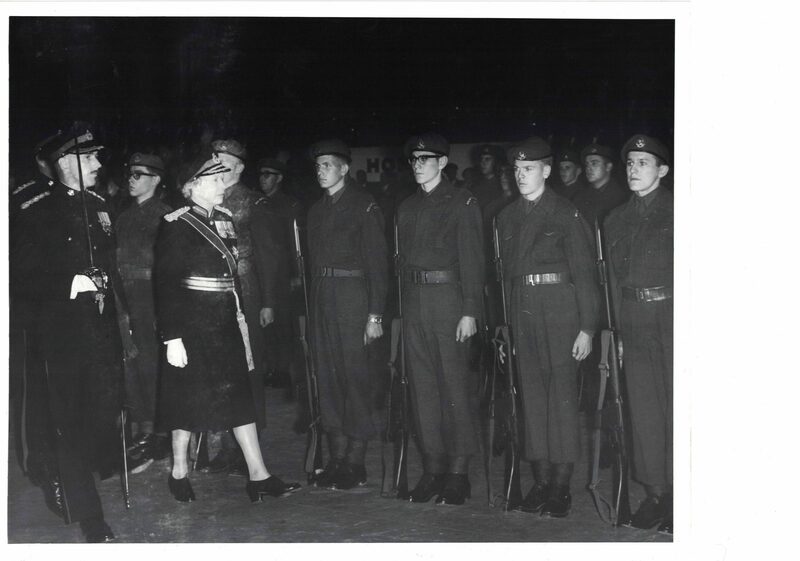 In 1964 the Colonel in Chief, Princess Mary of the Royal Newfoundland Regiment paid a visit to her regiment for the 50th Anniversary of the start of the First World War. She visited the troops and Veterans from both world wars in St. John’s and Corner Brook. She arrived in the Royal Yacht Britania. Our archives contain hundreds of photos of Princess Mary’s visit. Do You recognize anyone? Feel free to drop us a line to help identify some of the people in the photographs. My father James F. Molloy was the CO of B Co in the 60s. He is the officer in this picture of reviewing the troops. Thank you Maureen for Identifying Jim Molloy who became the CO of the Regiment in 1968 and who, for many years managed the great historical collection in the Grand Falls Legion.